Chance Boudreaux (Van Damme) is a New Orleans longshoreman who is down on his luck and struggling to find work. Opportunity comes his way when Nat (Butler) hires him to help her find her missing father. As it turns out, her father isn’t missing, necessarily, he was a victim of a malevolent gang of “human hunters”. Led by Fouchon (Henriksen), and with his second in command Pik Van Cleef (Vosloo), they get their kicks (and get rich) letting weekend warriors pay them to go on the ultimate hunting expedition: for man! But they meet their match with the fearless Chance, a man they cannot kill. Along for the ride is Chance’s uncle Douvee (Brimley). Will Chance get his chance at glory? Or, to the human hunters, is he just another HARD TARGET? Hard Target is hands-down one of Van Damme’s best. It’s explosively entertaining and lives up to the promise of a Van Damme and John Woo team-up. It’s everything a combination of those two men could be and should be, and doesn’t let the audience down. Once again, this is classic 90’s action fun from the golden time when Van Damme movies went to the theater. Back then, we remember joking with our friends that because there’s so much slow motion in this movie, if it was all played at regular speed, the film would be about 20 minutes. And it’s true, there is a lot of dramatic slo-mo, but it’s all for the best. And Van Damme and others get a lot of unnecessarily portentous entrances and exits, which just adds to the style of Hard Target, which is just a tad bit off-kilter. But that’s far from a bad thing. It separates itself from its many competitors that way. Besides Van Damme and his absurd hair, the cast assembled for this is just killer: Lance Henriksen is great as the baddie who’s so bad, even his piano-playing is evil. Vosloo is also adept at being bad, and his quasi-Scottish (?) accent, well, accentuates his sinister glares. Yancy Butler gives a bug-eyed performance who always seems surprised at the proceedings. But top marks must go to the great Wilford Brimley. In a strange role for him, the barely-intelligible, bow-and-arrow toting, horseback riding uncle is truly lovable and you root for him, even though he doesn’t appear until late in the film. That’s a tribute to Brimley that the audience can grow to love him so quickly. This movie puts a twist on the time-honored Most Dangerous Game (1932) idea. The formula’s been tried before, with varying degrees of success, in everything from Death Ring (1992) to Avenging Force (1986). But Hard Target has plenty of awesome moments, including the extended climax in (what else) an abandoned warehouse. Never one to be afraid of wasting bullets, Woo pulls out all the stops in an extended feast of overkill. It’s over-the-top fun everyone should see. On a technical note, the British DVD is longer than the American cut, including more violence. So try to track that down if you can, for the complete picture. Go down to the bayou tonight for some high-octane, high-quality Van Damme at his absolute best. A total classic and my first Van Damage experience when I was young. Apparently the Russian DVD is the longest cut with more violence than any other edition! 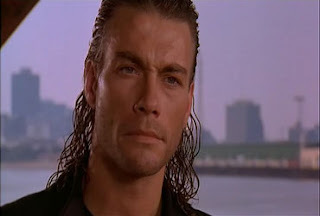 Great stuff Ty, Van Damme's hair is without question the star of Hard Target, coming in a valiant second place is Henriksen. It's easily Van Damme's best movie for me but maybe I'm biased towards the Woo. Have you seen the full strength director's version floating around the web? I think that, despite the smaller role, this was the apex of Brimley's career (except for the diabeetus commercials). Henriksen was awesome as well, and Van Damage's mullett will not be denied its place in the pantheon of historic coiffures. So many little cool moments, like when he balances on top of the bike and keeps firing at the car and the bit where he bites the rattlesnakes rattle off! Didn't realise the UK version had more violence, that's very cool. I had a ton of fun with this one too, both when it first came out and now as an adult revisiting it, and I love that you put it in that context. As an aside, I had a little Arnold Vosloo contact this week too, because he was a scientist or something in The Global Effect. This was his breakout role as far as I can tell though, got him the Mummy gig. Gotta love that guy. Agreed, this hands down one of Van Damme's best films! Yancy Butler is one hell of an underrated actress BTW, she was especially good in Fast Money. Surviving The Game was also a pretty good MDG rip-off, Rutger Hauer and Gary Busey were at their maniacal best and Ice-T was a pretty compelling hero. Dude, I bet "everyone" was waiting for you to finally get to this one. lol. Isn't it funny how all of these guys have that one film that is just so much better than the rest in there filmography? Like for me, this is my favorite Damme movie. For Segal it would probably be Marked for Death and Norris it would be a tossup of Invasion U.S.A. or Lone Wolf McQuade. Thanks to John Woo, this was Van Damme's best film. Stylish, great visuals, and a lot of fun. Can't believe it's almost twenty years old. Excellent review. Hard Target is one of my favorites. I have to say just on basis of pure cheese, No Retreat No Surrender is my favorite Van Damme movie. As far as starring vehicles, I have to put Timecop slightly ahead of Hard Target. Keep up the high quality Van Dammage coming. Explosive Action: Thanks for the info about the Russian DVD! We didn't know that. This is a good movie to see when you are young, it sticks with you. A Hero Never Dies: We agree, this is probably Van Damme's best movie. Dr. Blacksteed: The combination of Brimley-Mullet-Henriksen-John Woo is unbeatable. Jack Thursby: That scene on the bike is hilariously implausible but makes the movie as fun as it is! DTVC: We are big Vosloo fans as well and "Pik Van Cleef" is one of his stand-out roles. Venom: We have a friend who watches Surviving The Game EVERY time it's on TV. As far as Fast Money we are familiar with it and will have to check it out one day. 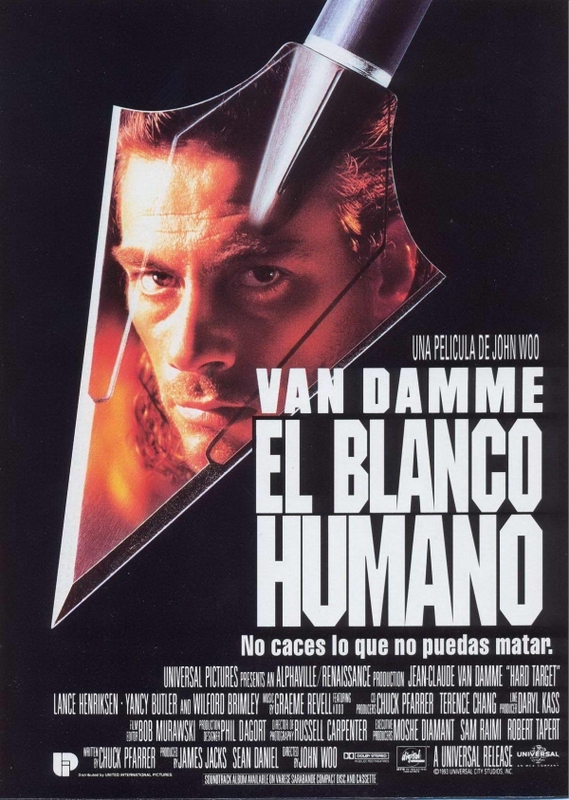 RobotGEEK: We are glad we inspired you to watch one of Van Damme's best! We completely agree that Invasion USA is one of Chuck's best. Alex J: I know! Hard to believe. Time really flies! Videovacuum: We saved one of the best for last as Van Damme month winds down. We are glad that everyone agrees that Hard Target is top Van Dammage! 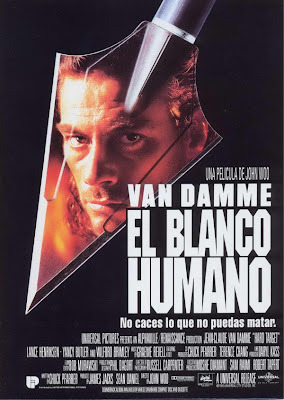 I love this one, easily van Damme's best and fantastic work from Henriksen. Oh wooooowwww... It's been forever and a day since I saw this. Totally putting on my queue. Ed: Can't agree more! Lance was excellent as the villain. Hoaks2: Cool! Happy you are going to watch it again! Somehow Lance, Arnold and Wilford stole the show, didn`t they...One of my most loved actionflicks, even if there are plenty of those....the workprint has even more violence than the european version, totally awesome. Oh yeah, another good MDG rip-off is Fugitive X: Innocent Target with David Heavener, and you simply HAVE to see "The Tournament"
Matthew Conway: We liked that also. Lee Van Cleef was a great actor and he plays an amazing bad guy. Hellford667: They totally did! Wilford was at his best. Lance and Vosloo ruled. Venom: Always wanted to see the David Heavener film. The Tournament rocks the house. Rented it a few years ago. Will have to pick up copies of both! It's my understanding that the extended version isn't actually all it's cracked up to be. They actually change the ending a bit and the little bits of extra violence don't add up to much. I'm happy with my american cut of it. Now I see a subpar Universal Soldier sequel.....where's the original? did I miss it? MarkusWelby1: Hmm, that is interesting about the extended cut. Universal Soldier 1 is dropping on Wednesday, Oct 26th. Drive2: Can't agree more. Van Damme should make more movies like this instead of ones like Derailed. I looked into it Ty. There is what's called the work print version of Hard Target that changes some things up a bit.It's supposedly of terrible quality and includes a love scene between Yancy and JC. But you are correct about the UK DVD version. Just a tad more violence, but nothing really special. Thanks for looking into it! Will avoid the workprint version. 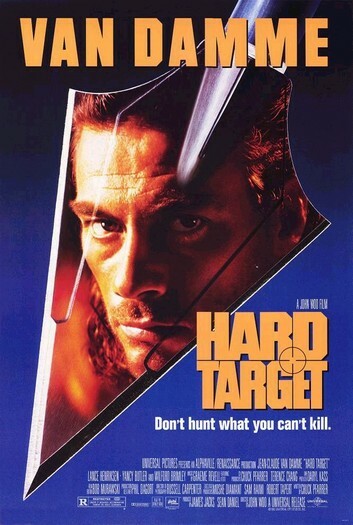 Hard Target (1993) - I first saw this before when it played HBO. At the time I had no idea who John Woo was, though I am glad to know the silly somersaults JCVD's body double does over and over during the finale in the Mari Gras warehouse were not in John Woo's work print but were added by the studio. I would love to see a "director's cut", in the manner of Payback: Straight Up, but we most likely never will. The quality elements may not exist and Woo probably doesn't care enough to do it. Fun movie, Van Damme's best. Would love to see directors cuts of Hard Target, Broken Arrow and Mission Impossible 2. All of them cut for time and some censorship.